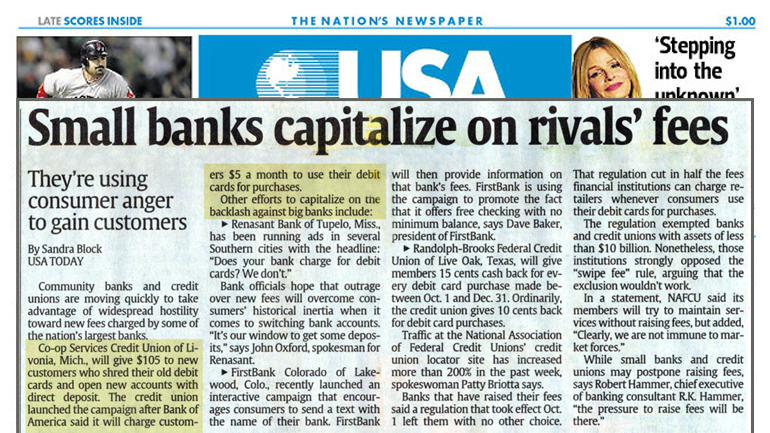 When Bank of America announced a $5 monthly debit card fee for their customers last year, it was all over the news. Co-op Services Credit Union knew that there was a short window of opportunity to pick up disgruntled bank customers through a non-member campaign. 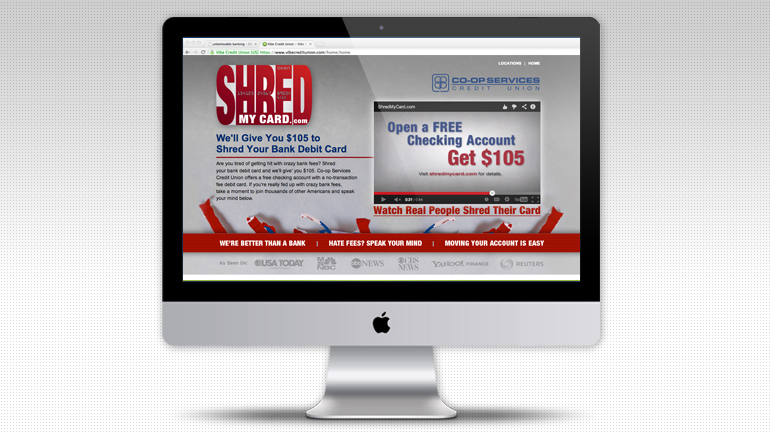 So we developed the Shred My Card campaign to address this need and to attract media attention through a non-conventional offer. The campaign encouraged upset bank customers to take their current bank debit card into the nearest Co-op Services branch location and publicly shred their debit card. 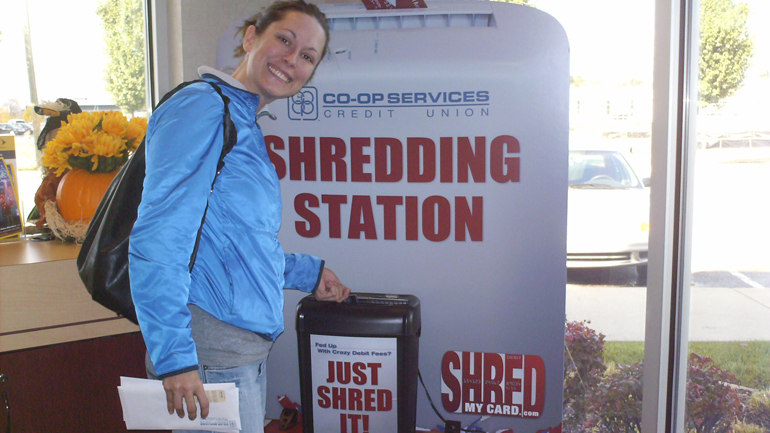 Each branch was equipped with a "Shred Station" where members could have a photo taken of them shredding their bank debit card and have it posted to the program microsite. 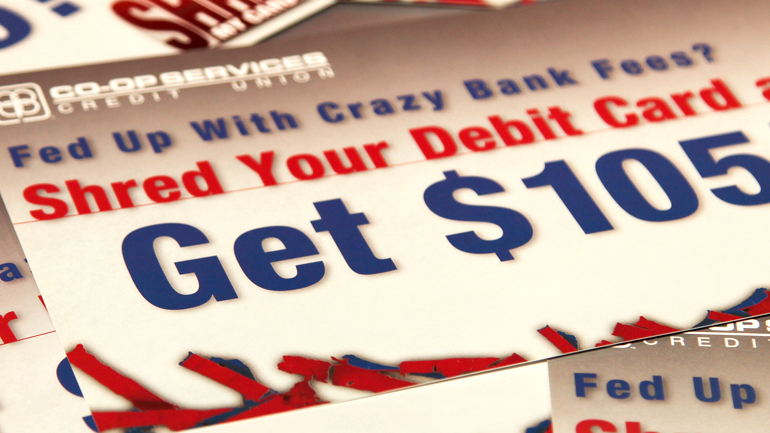 $100 was given to anyone that signed up for a Co-op Services free Checking account during this promotional period, and an additional $5 cash was given to anyone who shredded their card to match the $5 fee from Bank of America.